HOME / MOVIES &AMP; MUSIC / THIS MOVIE IS LOVE! 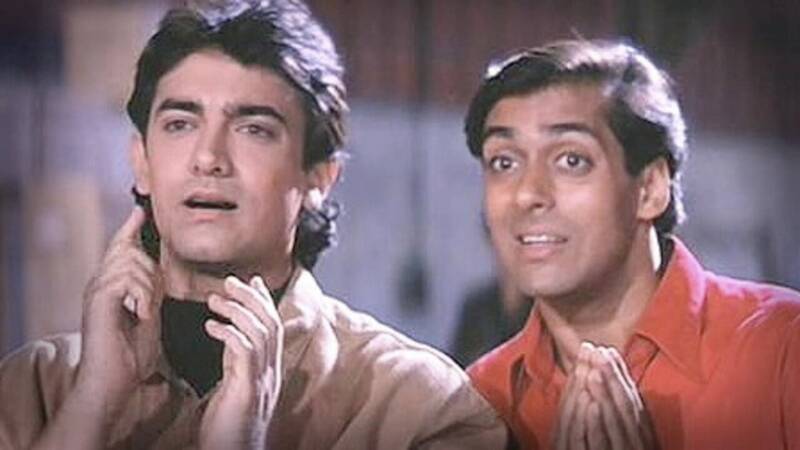 7 DIALOGUES FROM ANDAZ APNA APNA THAT ARE LIFE! 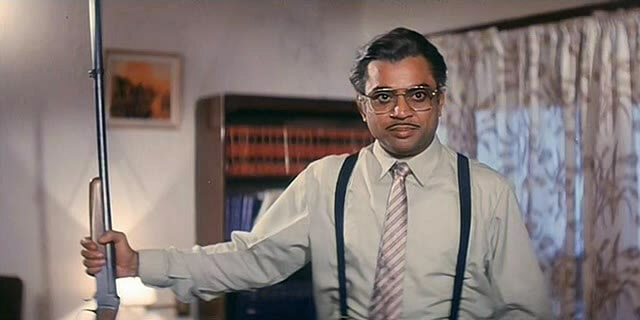 We all want to sit around with ‘Andaz Apna Apna’ and start talking nonsense. Because you know, the dialogues have become the essence of our lives in certain circumstances. 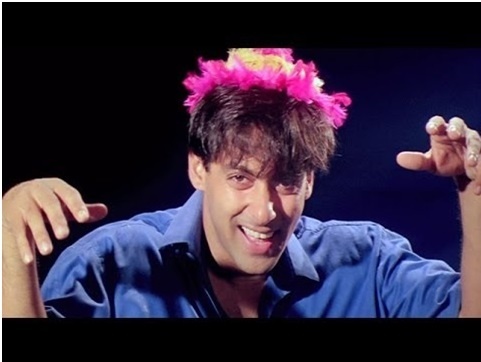 “Jab tum prem se milogi, toh Prem ke prem mein prem deewani ho jaogi, meri premika!” Sadly only a Prem can actually make a real life effort in putting this dialogue into practice. 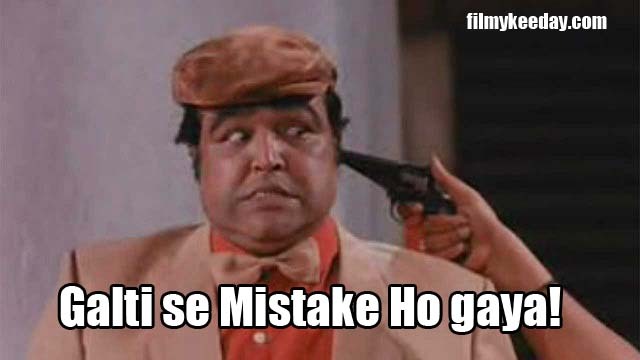 “Galti se mistake hogaya!” We use this dialogue all the time! Whenever we want to lighten up a serious situation. 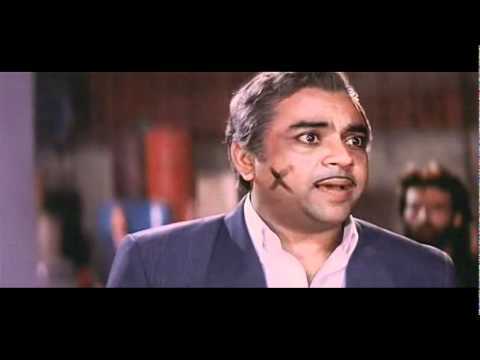 “Tu jab jab khush hua hai, tab tab main barbaad hua hoon.” Our parents have used this dialogue so many times, it’s not even funny! Especially when we’ve demanded something out of their reach or willingness. “Sab cheez time to time honi chahiye!” Bosses of the world have put in the minds of their employees the intensity of doing work on deadlines. This dialogue has always been on the top of their list. “Gham ka saathi rum.” Getting over a break-up wasn’t this dramatic before. Cheers to all those times! “Teja main hoon! 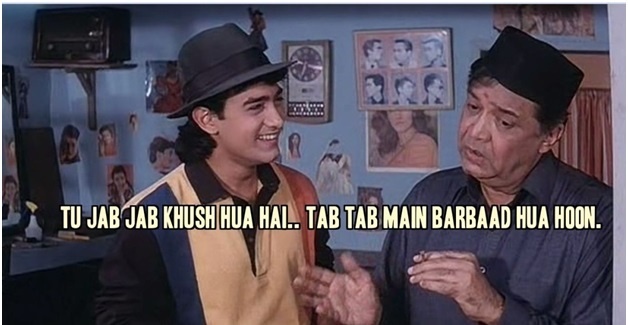 Mark idhar hain!” Exclusively used by twin siblings who made this dialogue a trade ‘mark’ when people failed to differentiate them. “Bhabhi hogi teri! Shaadi hogi meri.” This dialogue has been doing the rounds since a long time. When you and your best friend end up liking the same girl. How awkward is that! Just can’t get over this movie and its dialogues. It’s LOVE!